This is us, the Hauck Family. Alongside a wine loving team, Jana runs the business together with her parents Heike and Heinz Günter. With our hearts, hands and minds, our collective enthusiasm for wine is unwavering. We roll up our sleeves and share the load between us. Because of this, you’ll find our family fingerprint on each and every bottle of Hauck. White, red, rosé, or a little bit of everything? You’ll find a selection of our best wines in our individually selected sample cases. We invite you to taste our new vintage 2018! Please join us at the winery on Saturday and Sunday, June 8 and 9, from 12 – 7 pm. 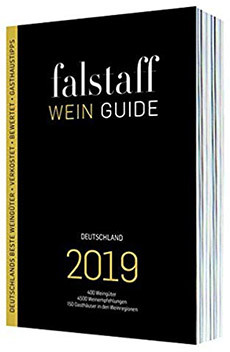 We are proud of the great reviews and ratings of our 2017 vintage in some of the most renowned wine guides »Clarity, freshness and proportion« (falstaff 2019, p. 486), »There is a fresher, younger wind blowing through in the Hauck winery« (Gault Millau, p. 740). Vintage 2018: A reason for joy! 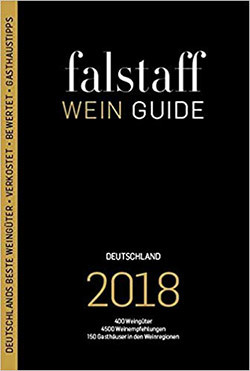 »Every grape is a supermodel«, My father made this comment during harvest 2018 almost everyday and the 2018 vintage is certainly looking remarkable! Currrently in our cellar and ready to be bottled soon, we’re really looking forward to sharing it with you. We are proud and ever so grateful for the great reviews we’ve received. Have a read! We love visitors and would be very happy to share our place and wines with you. Please contact us prior to arrange a suitable appointment time.